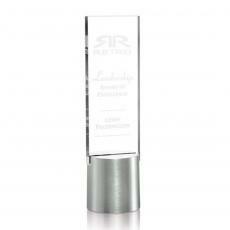 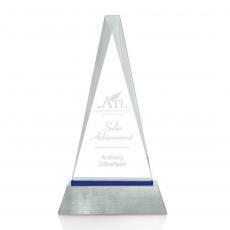 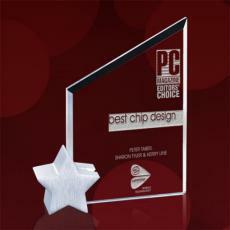 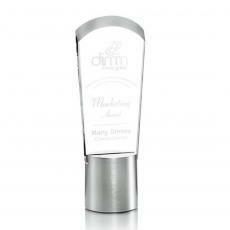 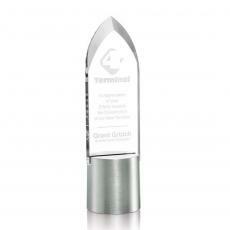 Glass and metal make a stunning combination on an award. 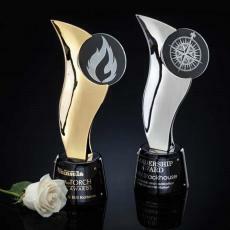 People enjoy looking at the handling these unique trophies because of the mix of textures and designs. 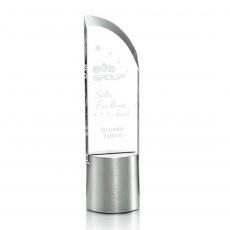 The clear, hard surface of the glass lets light through, while the metal accentuates the motif and adds visual interest. 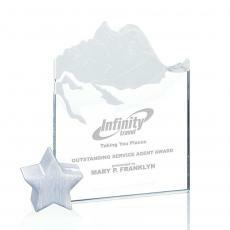 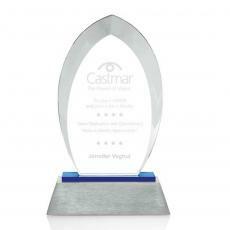 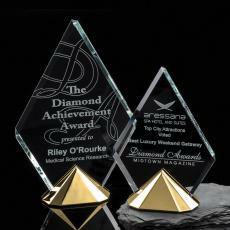 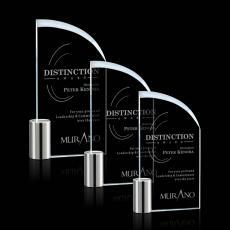 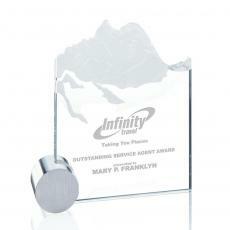 These stunning metal and glass recognition awards are much prized by their recipients. 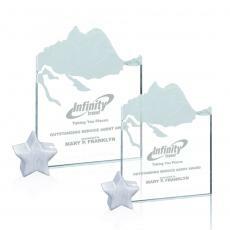 These awards come in a wide range of shapes, sizes and designs, perfect for sports teams, corporate recognition and club events. 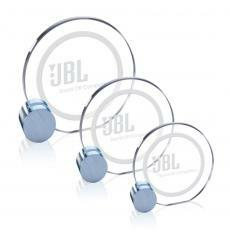 They are distinctive, while still being affordable. 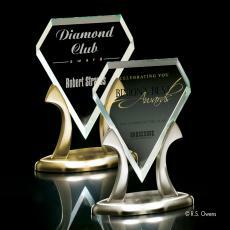 Choose from geometric designs, animals and abstracts. 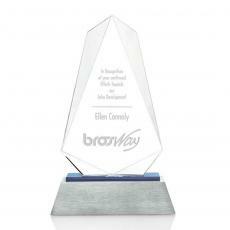 Consider a teardrop or wave sculpture to reward an artist or writer. 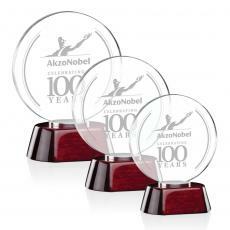 Choose an eye-grabbing phoenix to mark the retirement of an executive. 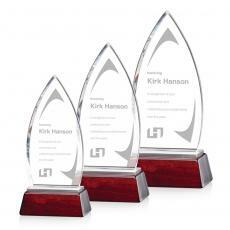 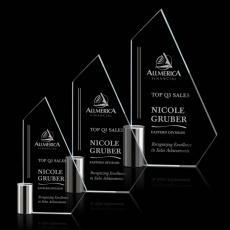 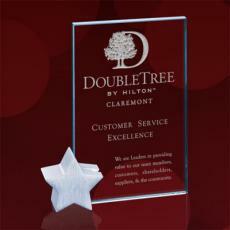 Personalized metal and glass awards mean so much more to recipients. 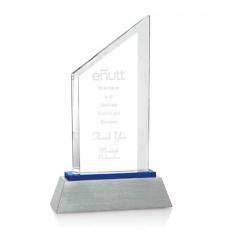 You can customize them with the logo and name of your business, plus the name of the person receiving it and the reason for the award. 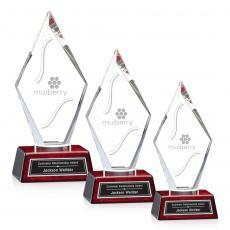 These work well for years of service awards, team leadership or sports team winners. 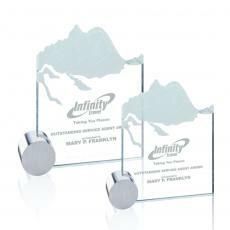 $125 - $175| Sizes: 3.5"x10", 3.5"x6" & 3.5"x8"
$90 - $120| Sizes: 0"x5.5", 0"x6.25", 0"x6.75", 5.5", 6.25" & 6.75"
$76 - $96| Sizes: 5"x7" & 6"x9"
$275| Sizes: 5.5"x11.5" & 5.5"x3.75"
$188 - $216| Sizes: 8"x11" & 9"
$33 - $40| Sizes: 5"x5" & 6"x6"
$145 - $195| Sizes: 5.5"x5.75", 6.625"x6.875" & 8"x8.25"